Kyrgyzstan has a cool flag. It’s my favourite out of all the countries we have and will visit. 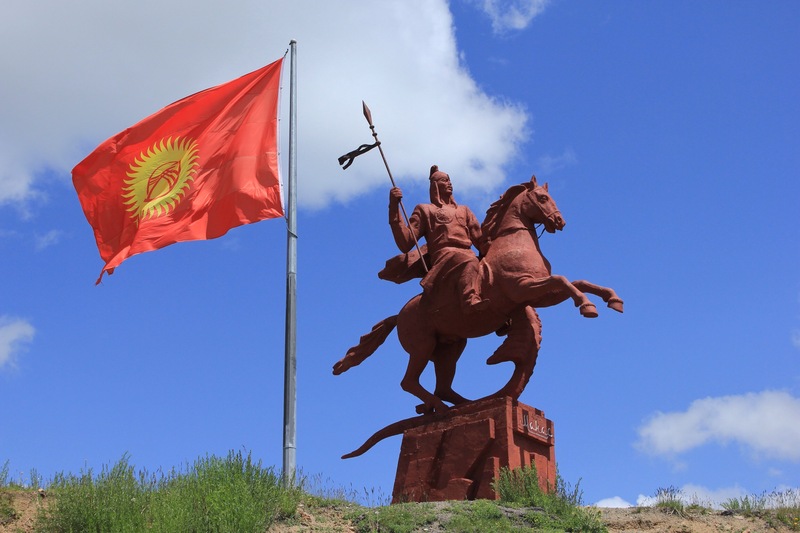 A country’s flag often tells you something about the political history of a country, but the Kyrgyzstan has more symbolism integrated into it than most. Perhaps an outcome of the country’s desperate cultural soul searching after independence from the USSR…. The red field background represents valour and bravery while the golden sun in the centre is said to symbolise peace. The sun has 40 uniformed rays which are said to represent the 40 Kyrgyz tribes who were united against the Mongols by the Kyrgyz hero Manas. The Epic of Manas is the traditional epic trilogy poem of the Kyrgyz people. It is composed and performed orally by traditional singer-storytellers called Manasachi. This tradition is still very much alive. The poem is unique it is length being twenty times longer than the combined texts of both Homer’s Illiad and Odyssey. He is a very important national figure and every major towns has at least one statue of him. Decorating the centre of the sun are three crossed lines which are said to represent the tunduk, the traditional crown of the Kyrgyz yurt. 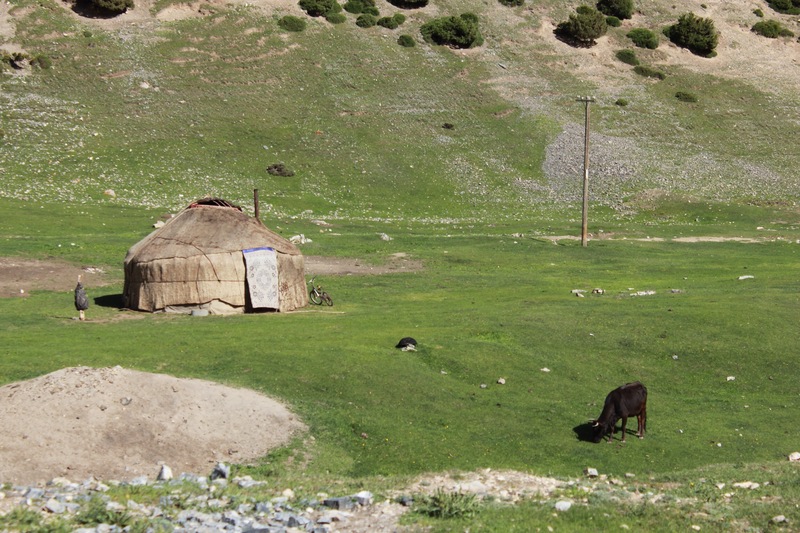 You can see lots of yurts decorated with this criss-cross pattern on the their tents. We have also been told the centre represent the crossing of two roads symbolising the unity of the people and that the three red lines can also represent the the komuz, the three-stringed national instrument. Next Next post: Pannier Brands – Are Ortlieb the best?